This package is designed using special Windows Powered Tablets and can be a stand alone system out of the box for mobile and close quarter locations. This Ad Server can also control a large flat screen display by simply adding an option flat screen TV or Monitor via the built-in Micro HDMI port. Comes with all you need to start selling and control your Ads from day 1. 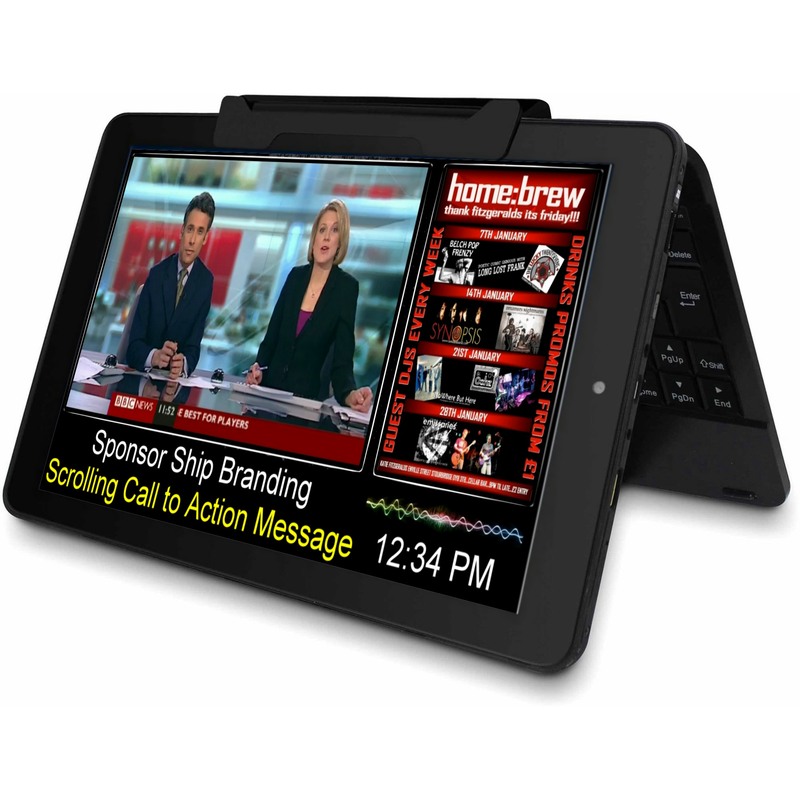 Includes 1 Ad Server 7 to 10.1″ Tablet and web log in to control the system via the internet. This system is very unique because you can actually carry it around with you in your pocket for live demos (personal hot-spot or WIFI required). Great for mobile application or to power standard full-sized displays with compatible HDMI port. No keyboard or monitor required and comes preloaded with a full Windows 10.